Kingfisher Windows can offer its customers in York a range of choices for their double glazing. From space-creating and thermally efficient conservatories and orangeries, through to traditional or modern looking doors and windows, we’re able to provide a full double glazing service that will cater to your every need. We are an accredited company and hold memberships with a range of double glazing industry schemes – like FENSA and the Federation of Master Builders – that measures the quality of our service and products. Our double glazing is supported by a 10-year insurance backed guarantee and we have 25 years’ industry experience. If space in your home is limited – but you don’t want to compromise on style – you’ll be intrigued by our high-performing uPVC sliding sash windows. This is an unconventional style of double glazing, which opens from the bottom instead of inward; this means your windows won’t intrude into your York home. Create a great impression outside and inside your home in York by asking Kingfisher Windows to install uPVC bow or bay windows. The wide expanse of double glazing that characterises both styles will let in lots of light, while also adding a touch of grandeur and sense of space to your property at the same time. 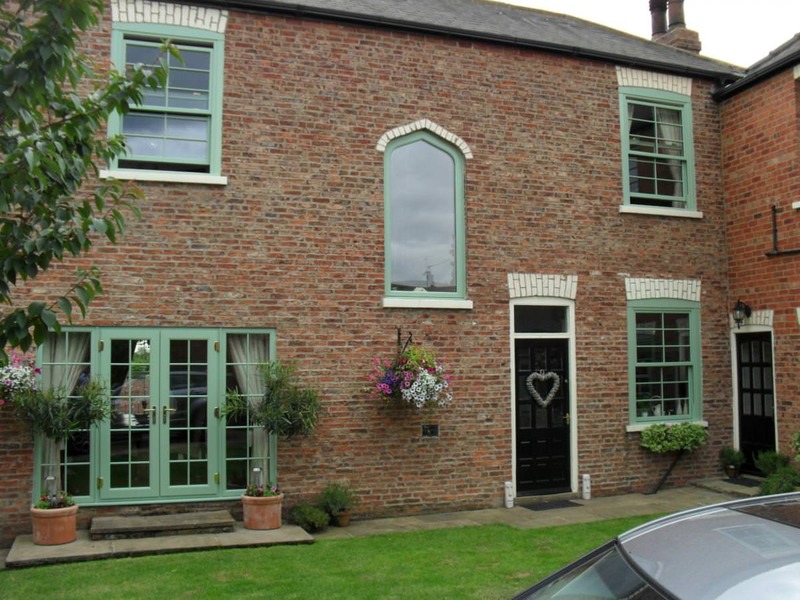 If your home is of a classic style, you will probably want to ensure continuity of design by choosing double glazing that will suit the themes and schemes of your York home. uPVC Georgian windows fondly recall the enduring aesthetic of a bygone era, while combining them with modern technology to deliver outstanding performance. Composite doors are incredibly strong. The internal structure of this design comprises of multiple materials and fibres that are compacted together to create a strong central core. If you want double glazing that provides strength and aesthetic charm in equal measure, a composite door will be the perfect addition to your York home. Connect your home, conservatory or extension to your garden by asking Kingfisher Windows to install uPVC patio doors. The wide area of double glazing in your doors will wash your interior with light, create a wide access point that’s perfect for entertaining, and keep your home connected to the outside – whether they’re open or closed. Structural strength comes as standard with our Masterdor range. For additional strength, you can opt for two slabs inside the design, which means your new door will competently stand up to most impacts – whether the weather or people cause them. Why not find out more by contacting us for a double glazing quote? Our customers in York approach us with the view of adding a conservatory or orangery to their home for one of two reasons – to create an extra room, so they don’t have to move; or because they want an extra space to relax in. Conservatories and orangeries differ considerably in their design, so it’s important to be aware of the relative benefits and characteristics of each before instructing work to begin on your new double glazing project. A conservatory comprises 75% double glazing. It is optimised for light, but normally features a dwarf wall that travels around its outskirts and is plastered within to create a comfortable room like feel. Orangeries boast more masonry and less glass, resulting in designs that emphasise privacy. The brick pillars or columns that characterise the exterior of an orangery create an immediate presence and a sense of style. Breaking the traditional mould is not taboo. If you want your orangery to feature floor-to-ceiling double glazing – or your conservatory to contain more masonry – you can ask us to build this into your design plan. If your existing conservatory roof is letting in the cold and the rain, or you’re still in the early stages of planning an extension to your home, you’ll want to know which product will add value. Kingfisher can provide its customers in York with a glass or tiled roof, both of which will provide you with superb levels of performance. Contact us for a double glazing quote and further advice. Call our friendly team on 0113 2854985 or send us a message for more information about our product range, or to get double glazing prices for your home improvement project in York. You can also obtain guideline costs by using our free design tool – it only takes a couple of minutes to use, and you can return to it as many times as you like.